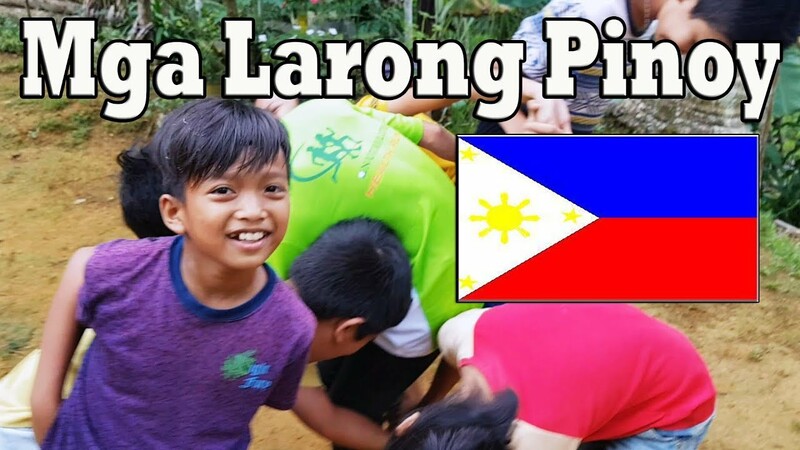 In this video, I'll be featuring some of Filipino Games that I used to play when I was young. Doktor Kwak Kwak is a game that children fond of. You can play it in school, street and fields. This game is composed of 5 or more players. Actually playing this game with more players will be more challenging. The more the challenging the game, it will be more fun. It needs concentration, speed and strength to play this game. The mechanics of the game is simple. First, to know who will be DoKtor Kwak Kwak, you can play elimination by “jack en poy” or “bato bato pik” and the looser will be Doktor Kwak Kwak. Next, He will turn back so that other players formed a circle and start to tangled or twisted their body and positions in a way of entering under the hands or passing above the hands of co-players while sitting down and keep their hands holding. Then, after they already finished the twisting part, they will call Doktor Kwak Kwak by saying “Doktor Kwak Kwak please help us”. Lastly, he will come and solve or arrange the twisting part. After he arranged it, he will cut by his hand the circle and other players will run. The player who will be caught be the next Doktor Kwak Kwak. This game can offer us a number of psychological benefits in addition to physical benefits. It can also help us to communicate effectively like in the twisting part of the game. This kind of game is cheaper than playing online games. It can enhance also our self confidence and develop our mental ability. It can also allow ourselves to have quality time in our friends or capable family member in playing this game together. Loosely translated in English, as “Jump over the Cow.”, is a traditional Filipino game that originated from Bulacan, it involves a minimum of 3 players and a maximum of 10 players. It involves the players jumping over the person called the "Baka", and the main goal of the players is to successfully jump over the "Baka" without touching or falling over him/her. How to play luksong baka? a). At the start of the game there should be one player that should be called "Taya" (It') or in this game the "Bakang lala" (Cow). b). The players should avoid contact or falling over the "Baka" player while jumping over. c). The "Baka" player should start with a bend-down kneeling position (A "Baka" player bends over with his hands placed on his knees). d). All players are to jump over the "Baka" until all the players have jumped. Once the 1st set of jumping over the "Baka" is done, the "Baka" player's position will slowly rise-up after jumping over the "Baka" player. e). Only the hands of the jumper may touch the back of the person who is bent over. If a player fails to avoid contact or fall over the "Baka", he/she will replace the "Baka" player with a bend-down kneeling position , and the game continues until the all players decides to end the game. Rock-paper-scissors (or rock, paper, scissors) is a zero-sum hand game usually played between two people, in which each player simultaneously forms one of three shapes with an outstretched hand. These shapes are "rock" (a simple fist), "paper" (a flat hand), and "scissors" (a fist with the index and middle fingers together, forming a V). The game has only two possible outcomes other than a tie: a player who decides to play rock will beat another player who has chosen scissors ("rock crushes scissors") but will lose to one who has played paper ("paper covers rock"); a play of paper will lose to a play of scissors ("scissors cut paper"). If both players choose the same shape, the game is tied and is usually immediately replayed to break the tie. Other names for the game in the English-speaking world include roshambo and other orderings of the three items, sometimes with "rock" being called "stone"
Siato - a popular Filipino game between two or more players. Two sticks are used to play this game. One is about two feet long, and the other one about half a foot long. A small hole in the ground is made where the smaller stick will be placed with one end at the bottom and the other end sticking out. The player will hit the smaller stick with the longer one so that the smaller stick flies to the air. At mid-air, the player then hits again the smaller stick with the longer one. This is repeated three times. Whoever hits it to the farthest distance wins the game. As punishment, the loser will be forced to shout the word "siato" without interruption while running back to the original starting place.